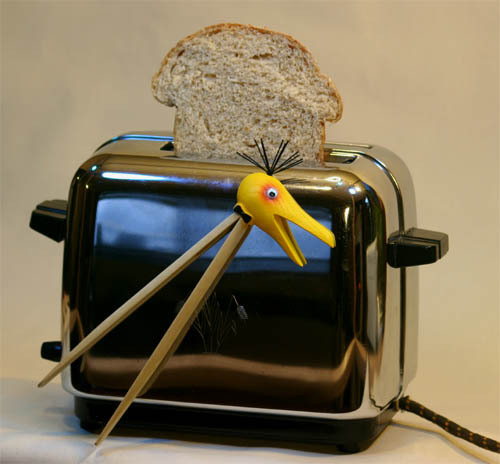 The toast grabber will do the job for you : it will go and get your hot toasts in the burning depth of your toaster...! You can also use it to get your hot bagels or croissants outs of your toaster oven or to serve raisin bread toasts... without burning yourself on a burning hot raisin. It is magnetic, so you can stick it to your fridge or directly to your toaster.